The 2014–2015 Ebola epidemic is the largest in history, affecting multiple countries in West Africa. In late July 2014, the World Health Organization (WHO) declared the outbreak a Grade 3 emergency, its highest level of any emergency response. In early August, they declared it a public health emergency of international concern, meaning it is a serious public health event that endangers international public health. Indeed, by the end of September 2014, the United Nations stated the outbreak is “a threat to international peace and security.” Guinea located on the Atlantic coast of West Africa, is the first country in this geographical region in which an outbreak of Ebola virus disease has occurred. Cases having been confirmed in other countries include Guinea, Liberia, and Sierra Leone. There were a small number of cases reported in Nigeria and Mali and a single case reported in Senegal; however, these cases were contained with no further spread in these countries. Confirmed imported cases have occurred in the United States, Italy, Spain, and the United Kingdom. The WHO declared the end of the Ebola outbreak in Liberia on May 9, 2015 but on June 29, routine surveillance again detected a new confirmed case of Ebola in Liberia. On November 18, 2014, India has quarantined a man who was cured of Ebola in Liberia. 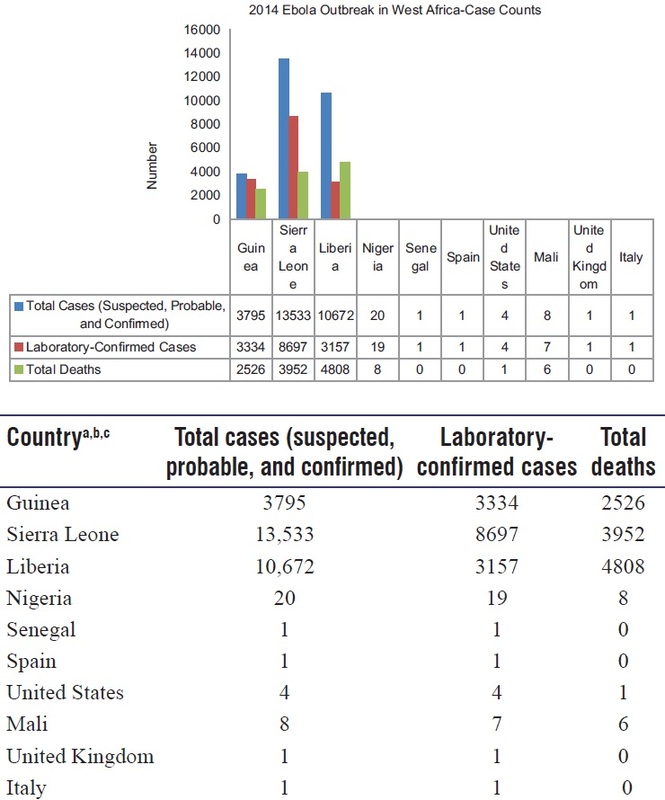 As of August 21, 2015, the cumulative number of probable, suspected, and laboratory-confirmed cases attributed to Ebola virus (EBOV) is 28,036, including 11,301 deaths. Zaire EBOV strain has been identified as causative agent for 2014 Ebola epidemic. Amniotic membrane is a unique biological product that has been in use for a myriad of bodily conditions, both ophthalmic and non-ophthalmic. However, the ophthalmic use are still increasing day by day. Its unique properties like anti-inflammatory, antimicrobial, antifibrotic, antiangiogenic and source of growth factors make it into a biological bandage which can be life-saving to the eye. Harvested from the human placenta, it has found extensive use in ocular surface reconstruction, chemical injury to the eye, corneal perforation, persistent epithelial defects, ocular surface neoplasia, pterygium surgery, trabeculectomy, glaucoma bleb repair and lid surgeries, to name a few. This article outlines in detail the properties and utility of amniotic membrane. Food safety refers to all those hazards which make the food unsafe to health. The unsafe food creates a vicious cycle of disease and malnutrition which affect all age groups but in particular children, the elderly, and the sick. Foodborne diseases are important hidden causes of morbidity. This article has been written with an objective to assess the current status of food safety and related issues in India and the measures to improve the same. Though most of the foodborne diseases are sporadic and often not reported in India, a nationwide study reported an alarming 13.2% prevalence at the household level. Currently, the mainstay for food safety in India is a legislative approach. The Indian food industry is regulated by the number of legislations covering sanitation, licensing, and permits. Food Safety and Standards Authority of India established by the Government of India develop the standards for food and regulate and monitor the manufacture, processing, storage, distribution, sale, and import of food so as to ensure the availability of safe and wholesome food for human consumption. The literature review shows that the consumer awareness is not very good in India in relation to food safety. There is a need to initiate the public health surveillance for food safety and foodborne diseases. Legislations related to food safety should be enforced strictly. The consumer awareness should be an important part of all initiatives. The aim of this communication is to give an overview of basic biostatistics procedures that are helpful in understanding medical research findings. There are several books on this topic now and several articles are written on this subject in various reputed journals on individual topics of interest or as a series of chapter articles. On the contrary, this article attempts to cover summary of basic biostatistics in a descriptive manner with the attempt to provide the reader the essential basis of research methodology. This may also be useful for medical undergraduate/postgraduate (UG/PG) students and biomedical junior faculty in understanding advancement of knowledge in their area of specialization. This article as such is not complete on the basics of the subject attempted to present. The reader is, however, advised further reading of reference books for more details. 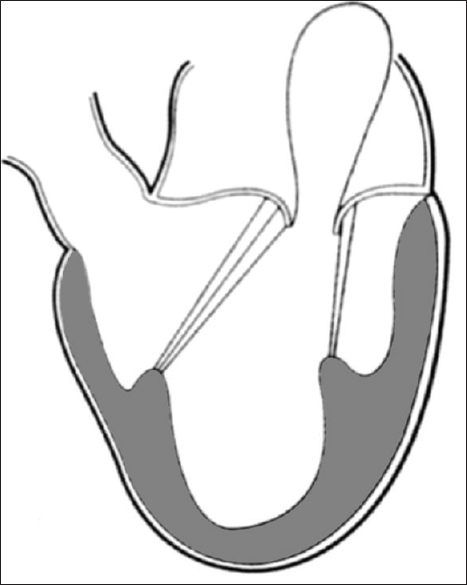 The mitral valve (MV) is a sophisticated natural engineering marvel. 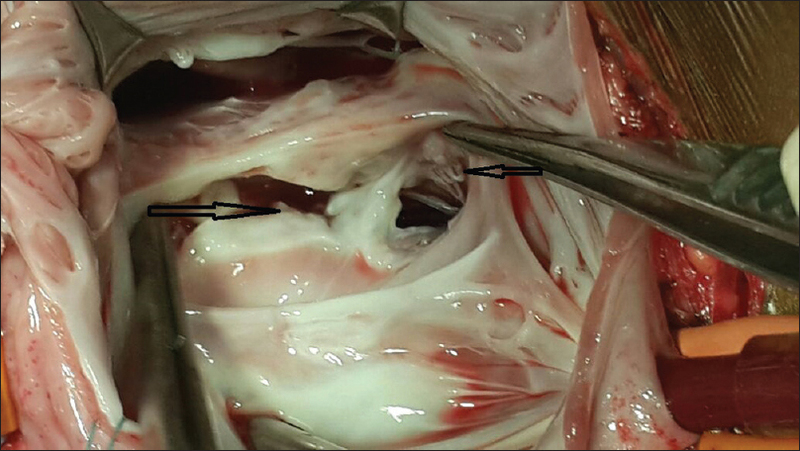 The MV requires coordinated action of all its interrelated anatomical components: The MV leaflets, the annulus, the left atrium, the tendinous chords and the papillary muscles with its surrounding left ventricular wall for an effective closure of its orifice. Mitral valve regurgitation (MR) is frequently found in patients undergoing cardiac surgery with cardiopulmonary bypass. MR can be secondary to a structural or a functional defect of one or several components of the MV. The mechanism(s) of functional MR is the most complex. A precise understanding of the pathophysiology of MR helps resolving the cardiac status of a patient and choice of therapy for a particular patient. Transesophageal echocardiography can define the underlying mechanism(s) of MR; a thorough understanding of the mechanism(s) helps deciding the surgical procedure needed to repair the MR. In this article, the author reviews the mechanisms and pathophysiology of MR.
Background: Adenomyosis is myometrium uterine pathology commonly seen in peri-menopausal women who usually present with menorrhagia and dysmenorrhea. Adenomyosis uterus is diagnosed by the histopathological examination of the hysterectomy specimens. Aims: To know the clinical symptoms seen with adenomyosis and to diagnose endometrial, ovarian, and other associated pathologies in adenomyosis uteri patients. Setting and Design: Tertiary care hospital and retrospective study. Materials and Methods: Present study was performed on hysterectomy specimens between January 2008 and December 2014 in the Pathology Department of Rural Institute of Medical science and Research, Saifai, Etawah (Uttar Pradesh). Specimens were grossly examined, sectioned, and hematoxylin and eosin stain was applied. Statistical Analysis: Percentage. Result: A total of 353 patients were included. The common age group of patients with adenomyosis was 41–50 years (44.75%). Menorrhagia (70.25%) was a prime clinical symptom. Among endometrial pathologies and changes, proliferative phase was maximum (44.47%), followed by secretory phase (25.21%) and endometrial hyperplasia (12.46%). Common pathologies seen in ovary were simple serous cyst (39.58%), corpus luteal cyst (27.08%), and endometrial polyp (40.74%). Conclusion: Adenomyosis is a myometrial lesion present in 41–50 years of age group with clinical symptoms of dysfunctional uterine bleeding. Proliferative phase, secretory phase, and endometrial hyperplasia were commonly seen with adenomyosis. Simple serous cyst was a common pathology seen in ovary. Endometriosis change in the ovary was also seen, confirming a strong association between adenomyosis and endometriosis. Endometrial polyp was also common. Background: Rate of coverage and consumption is the most crucial factor in the success of MDA program against lymphatic filariasis. The roles of the drug distributors and other health workers cannot be ignored in order to achieve success in MDA coverage and compliance. Materials and Methods: This was a cross-sectional study conducted in Solapur district in January 2015. A sample of 672 participants from four clusters was selected through multistage cluster sampling and interviewed using pretested and prestructured questionnaire. Additionally, MDA drug distributors were also interviewed to understand some of the operational issues encountered in MDA program. Results: The average coverage of MDA in Solapur district was 63.7%, the compliance rate was 75.5%, and effective coverage rate was 48.1%. The important reason for higher rate of noncompliance was unsupervised treatment by the drug distributor, beneficiaries were on empty stomach at the time of distribution of drugs, not received the drugs and not available at the time of drug distributor's visit and in urban area was lack of knowledge about the disease. The important reasons for noncompliance quoted by drug distributors were inadequate training of drug distributor, fear of side effects in beneficiaries, and the empty stomach at the time of drug distributor's visit. The majority of health personnel (69.7%) suggested Booth activity as an ideal method for MDA that is planned on a holiday, and more extensive training well before the planned MDA activity. 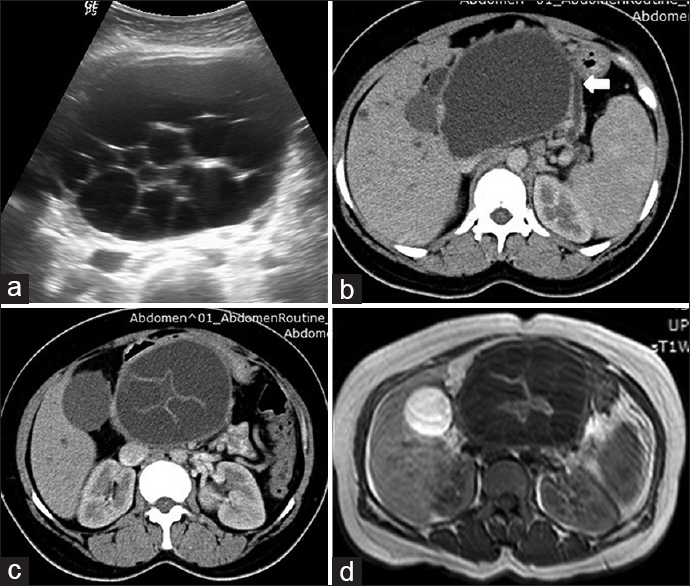 We report a rare case of young female with isolated pancreatic head hydatid cyst causing obstructive jaundice, left-sided portal hypertension, and chronic pancreatitis. Lymphocytic hypophysitis is a neuroendocrine disorder characterized by autoimmune infiammation of the pituitary gland with various degrees of pituitary dysfunction. Coexistence of other autoimmune conditions is reported in the vast majority of cases. The clinical presentation varies depending on the pituitary segment that is more severely affected. Early destruction of the ACTH producing cells is a characteristic feature of lymphocytic adenohypophysitis. Other anterior pituitary hormones can also be affected, but posterior pituitary involvement is absent or minimum. 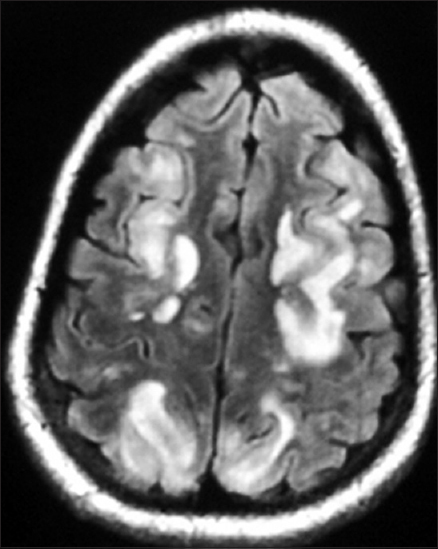 Lymphocytic infundibuloneurohypophysitis (LINH) typically presents as acute onset diabetes insipidus (DI) with intracranial mass effect symptoms. A combination of extensive anterior pituitary involvement and DI characterizes lymphocytic infudibulopanhypophysitis. 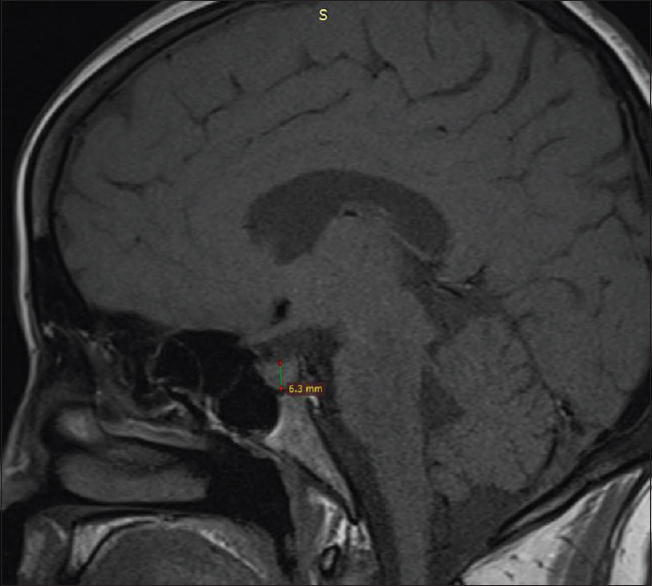 We are presenting a case report of 35-year-old female presenting with insidious onset DI along with a severe headache and found to have LINH, without the involvement of anterior pituitary hormone secretions. Sarcoidosis is a granulomatous disease of unknown origin, with pulmonary findings in more than 90% of patients. Extrapulmonary involvement is common and all organs can be involved (especially lymph nodes, eyes, joints, and central nervous system) but it is rare to find an isolated extrapulmonary disease (<10% of patients). 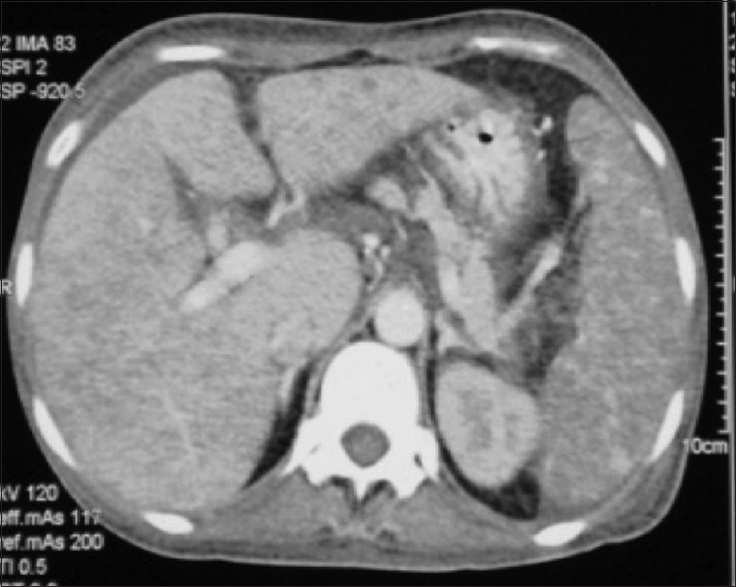 Granulomatous inflammation of the spleen and the liver is common in patients with systemic sarcoidosis while hepatosplenomegaly is unusual and splenic involvement rare. We are describing a rare case of abdominal sarcoidosis presenting with the hypercalcemic crisis but no pulmonary involvement. Posterior reversible encephalopathy syndrome (PRES) is a condition characterized by headache, altered mental status, seizure and visual dysfunction, and transient motor deficit. The incidence of PRES in systemic lupus erythematosus (SLE) has not been clearly known. Risk factors for PRES in SLE include hypertension, renal failure, cytotoxic drugs, and active lupus. We describe a patient of SLE with nephritis on cyclophosphamide monthly pulse that developed PRES and, unfortunately, succumbed to her illness.